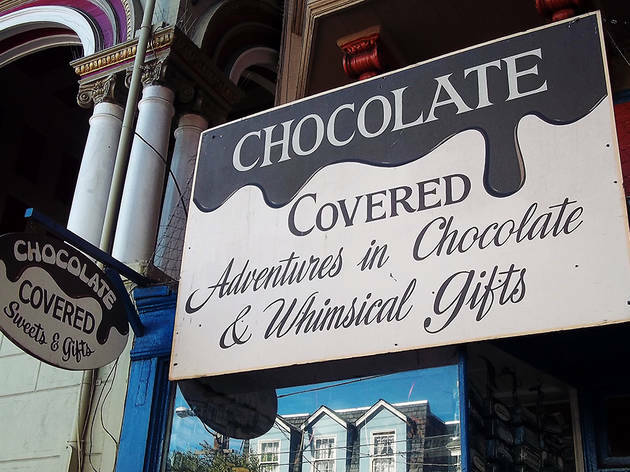 Chocolate Covered isn’t a confectioner, it’s the delicious dealer your chocolate addiction has been seeking. 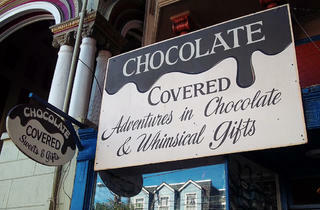 The Noe Valley boutique with a vintage candy shop vibe sells over 900 types of gourmet chocolates from 19 countries. Whether your tastes run towards traditional flavors of rich, organic cacao or more unusual flavors like Moonstruck’s strawberry, basil sugar and dark chocolate bar or Manoa Chocolate’s goat’s milk bar, you’ll never run out of choices at Chocolate Covered.